A sharp rally in spot alumina prices along with the depreciating rupee has unnerved Vedanta. The company is worried over the escalating alumina prices on its aluminium smelting costs. Unlike peers- Hindalco Industries and National Aluminium Company (Nalco), Vedanta is not fed by captive bauxite mines and depends on imported supplies of alumina, the intermediate product and key ingredient in aluminium making. “The rocketing alumina prices are a concern. Imports meet about 60 per cent of our alumina requirement for smelters. Stronger global prices of alumina will shoot up our import bill and is bound to have a bearing on our aluminium making cost”, said a senior executive with Vedanta Ltd. In the April-June quarter, Vedanta’s cost of alumina production was $1934 per tonne, 12 per cent higher than the corresponding quarter of last fiscal. The company, in a statement, ascribed the rising cost to commodity inflation across inputs such as imported alumina, coal, caustic soda and carbon. As on September 4, international alumina prices had soared above $600 per tonne, 69 per higher than the index price of $354 at the same time last year. In Australia, one of the key bauxite producers, alumina prices were trading at 30 per cent of the LME (London Metal Exchange) prices which hovered around $2100 per tonne on the exchange. The Australian index for alumina had peaked at $707.5 per tonne earlier in April after the US treasury clamped sanctions on UC Rusal, the largest aluminium maker beyond China. After scaling the all-time high, benchmark alumina prices have mostly floated above $500 mark. For Vedanta, worries are set to pile up as the forecast for alumina prices remains bullish amid supply constraints. Many traders are betting prices to be in the band of $650-700 per tonne in the near term. Nalco, a key beneficiary of the bolstering alumina prices, expects prices to stay between $550 and $675. As of now, Vedanta’s aluminium production cost stands at around $1900 per tonne. But, the mounting alumina prices are set to enhance production cost for the company by $300 per tonne, an analyst said. “Commodity price movements are volatile but the forecast for alumina is strong at least in the near term. So, the impact on Vedanta’s aluminium operations is negative. But, as a Group, Vedanta is still positive on the gross margins and I don’t believe they will go for a production cut”, he reasoned. Headwinds in the form of rupee devaluation and firming alumina prices are a dampener for Vedanta which is looking to improve capacity utilisations at its smelters in Jharsuguda and the Balco unit at Korba (Chhattisgarh). In last fiscal, Vedanta ended up being the top aluminium producer, clocking in 1.67 million tonnes, a growth of 38 per cent year-on-year (y-o-y). Production growth was helped by a complete ramp up achieved at the Balco-II smelter and the on streaming of additional pots at the Jharsuguda unit. 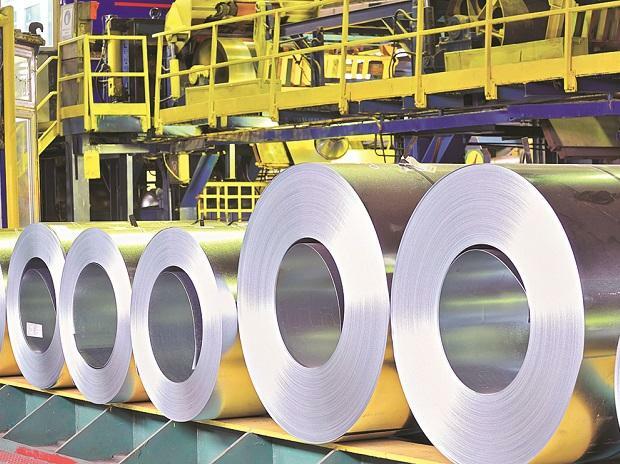 The growth momentum continued in this fiscal with Vedanta posting record aluminium production of 0.48 million tonnes during April-June, an increase of 37 per cent y-o-y.